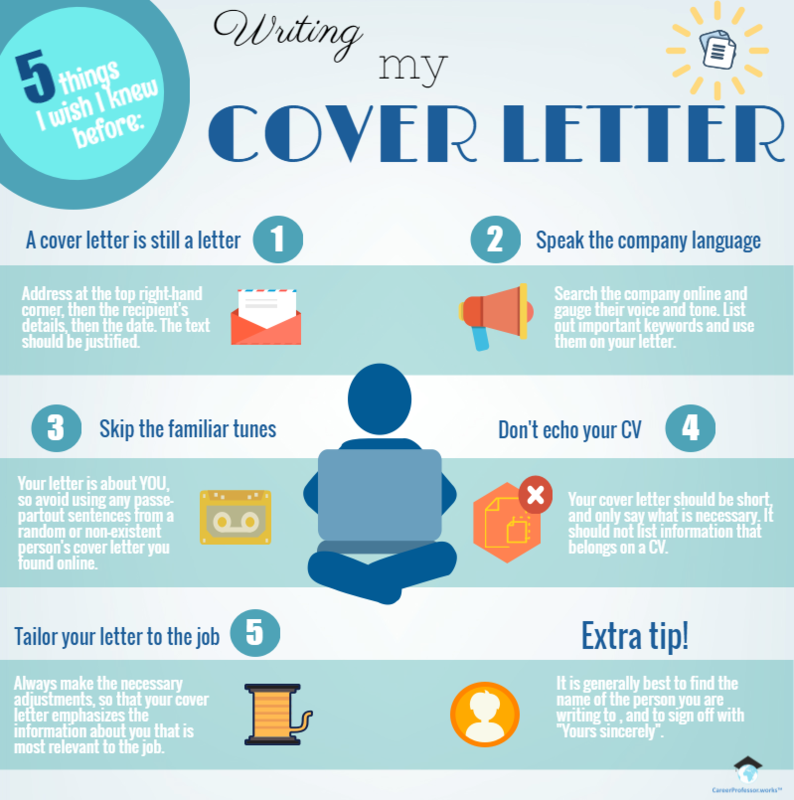 So now that your CV is in its best possible shape, a new challenging task follows… your cover letter. Your cover letter is the perfect opportunity to market your skills and interests to a potential recruiter. This is your chance to shine with showing more of your individuality and explaining why you are the best fit for the job. A good start is half the battle, so get a pen and paper (okay, your laptop more likely), read our tips below and let’s get this cover letter started! The format should really be more like what is expected for a formal English-language letter, i.e. your address at the top-right-hand corner, then the details of the recipient, then the date. Also, the text should be justified. This is partly a matter of following convention, and partly a matter of making it, well… beautiful! Scan through the job description, the company’s website and social media carefully and try to gauge their voice and tone. List out some keywords and use them in your cover letter. Also, make sure to stick to formal English (not too showy though) and avoid using generic adjectives too much or starting your sentences with an ‘I’. After looking at an overwhelming number of cover letters online, you have probably found a couple or more passe-partout sentences that fit your profile, which you think you can throw in your letter. Well, don’t. Keep your letter special and unique. Employers want to know about YOU, not about some random or non-existent person’s cover letter on the Internet. Your cover letter should be short, and only say what is necessary, and should not list information that belongs on a CV. It’s best if you concentrate your covering letter on the sorts of things that cannot go into a CV, such as saying why you want that specific job, telling the employer what your approach to the job would be, and showing the employer that you know something about them and their work. As with your CV, the same applies to your cover letter. Always make the necessary adjustments so that your cover letter emphasizes the information about you that is most relevant to the job you are applying for. With job applications, it is generally best to find out the name of the person you are writing to, and to sign off with “Yours sincerely,”. However, if you find it impossible to find out the name (with social media it shouldn’t be that hard and alternatively, there is always an invention called the phone), you can write a letter that begins with “Dear Sir or Madam,” and ends with “Yours faithfully,”. Still trying to create a killer CV? 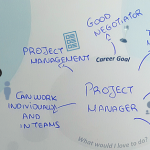 Take a look at our previous blog on “ 5 things I wish I knew before: Sending my CV“.